HIGH CAPACITY DUAL CHARGE - High-capacity low self discharge portable charger including dual USB port and 5000mAh rechargeable batteries. 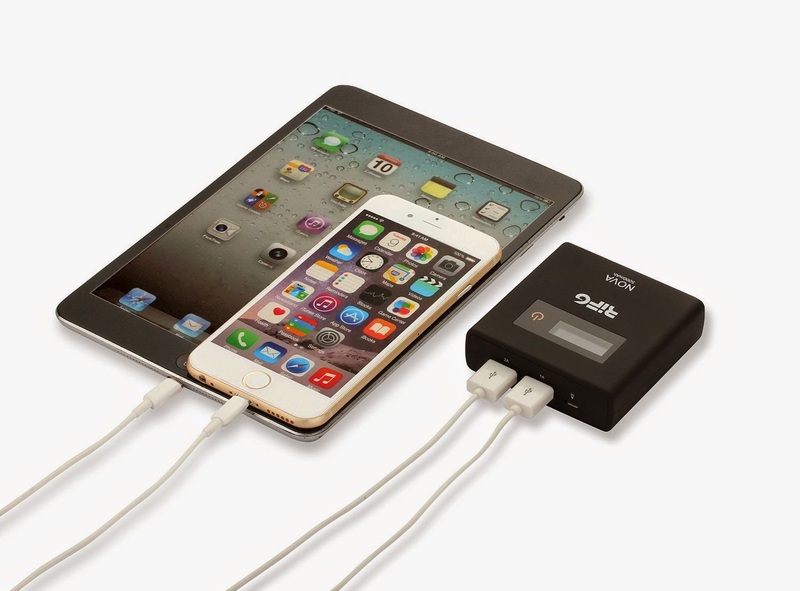 Super-fast charge output (5V/3A) though dual USB ports (5V/2.1A and 5V/1A) allows to simultaneously charge your iPad, iPhone, Android, and more at high speed. 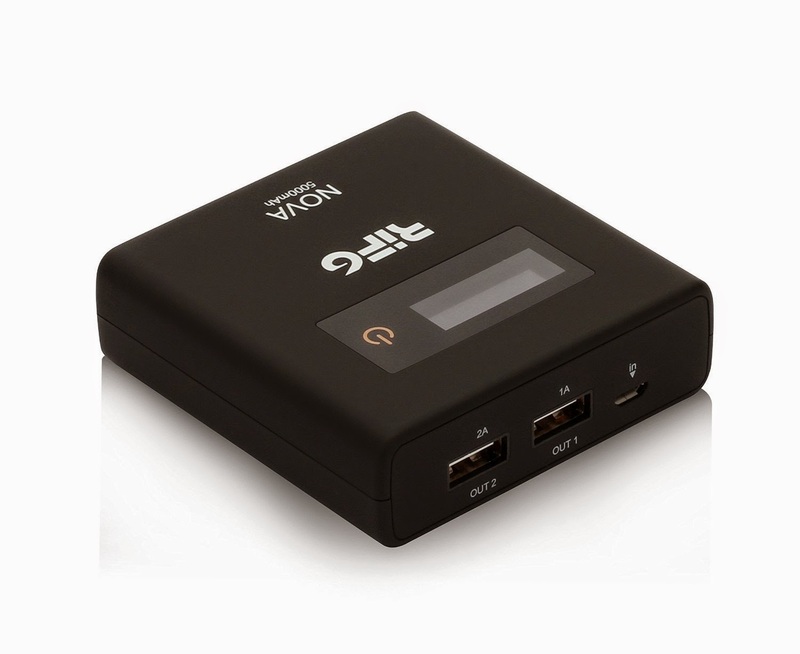 This power pack and external battery charger adds 250% - 300% extra battery life. STYLISH AND PLEASANT TO HOLD - Finished with extremely high grade soft touch rubber coating that you will not want to put down ! 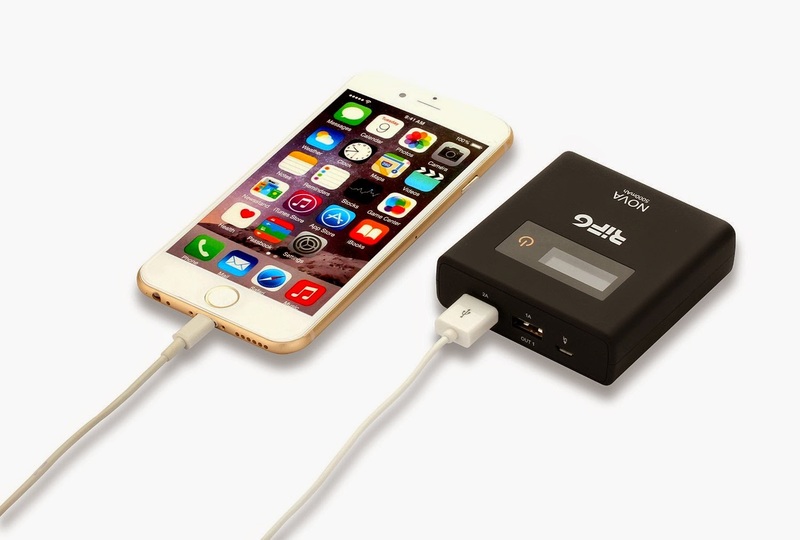 Fits easily into any bag or pocket; Compact, portable & stylish ; Perfect for long flights, road trips, or whenever you need to charge your mobile devices; often used as a substitute for a car charger, such as an iPhone car charger, dual USB car charger and iPad car charger. SMART IC - Current protection prevents shorting, overheating and overcharging for safety! 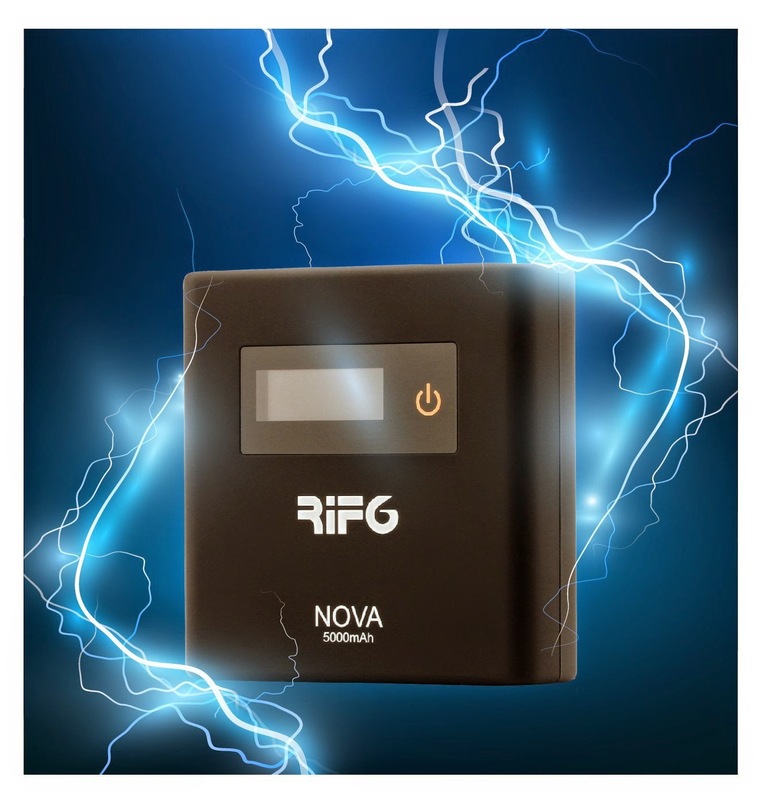 Premium grade Li-ion polymer cell and premium microchips create a high-quality portable charger; Advanced power lock technology with standby time up to 6 months after fully charged. 1000+ recharge cycles over the life of the battery. I am really liking my new Nova Power Bank Portable Charger. I keep this one at home for the whole family to use when necessary. I love that it has the LCD that shows how much power there is. The other power banks I have do not have this very useful feature. I really like that you can connect to the electrical outlet, your laptop, phone and tablets. It is a good size to not be too big to be in the way but not small enough to get lost in the daily shuffle. 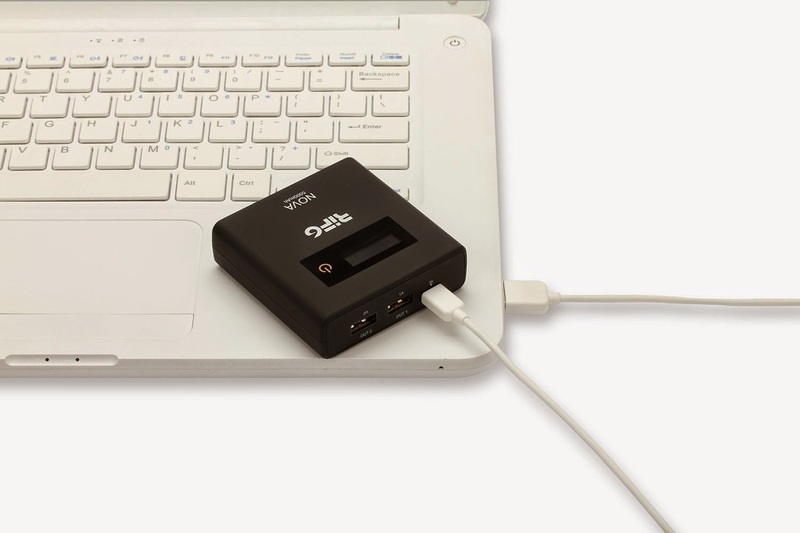 I think it is a must have for any household that uses mobile devices!